Isn't this whimsical snowman cute! 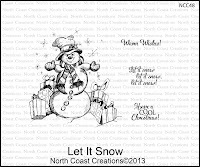 He's from the North Coast Creations Let it Snow stamp set (shown below), that was released last month. He's perfect for your holiday cards and home decor projects, he would also make fabulous holiday thank you cards! I had some ornament blanks left over that I purchased last year, they are just perfect for this image! 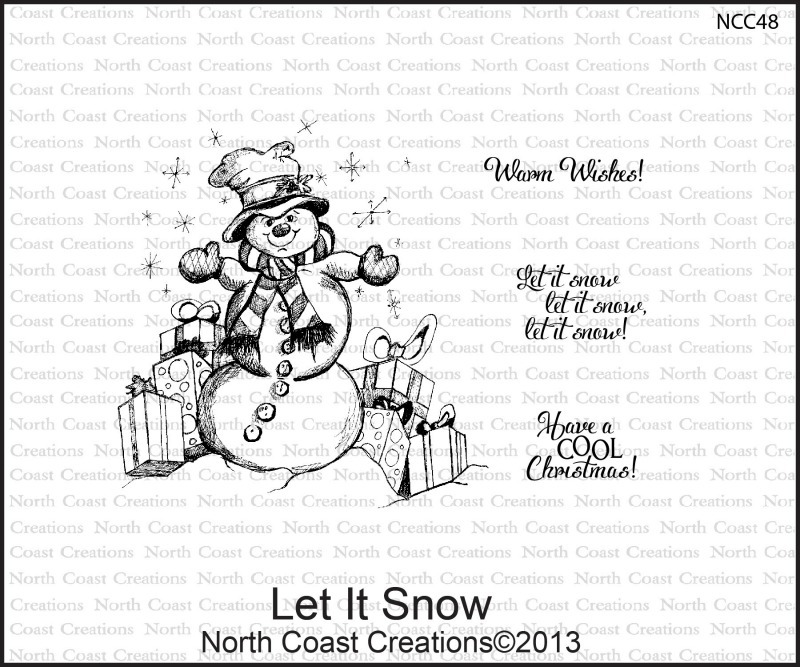 I stamped the snowman in Black Archival on the ornament blank, then heat set. 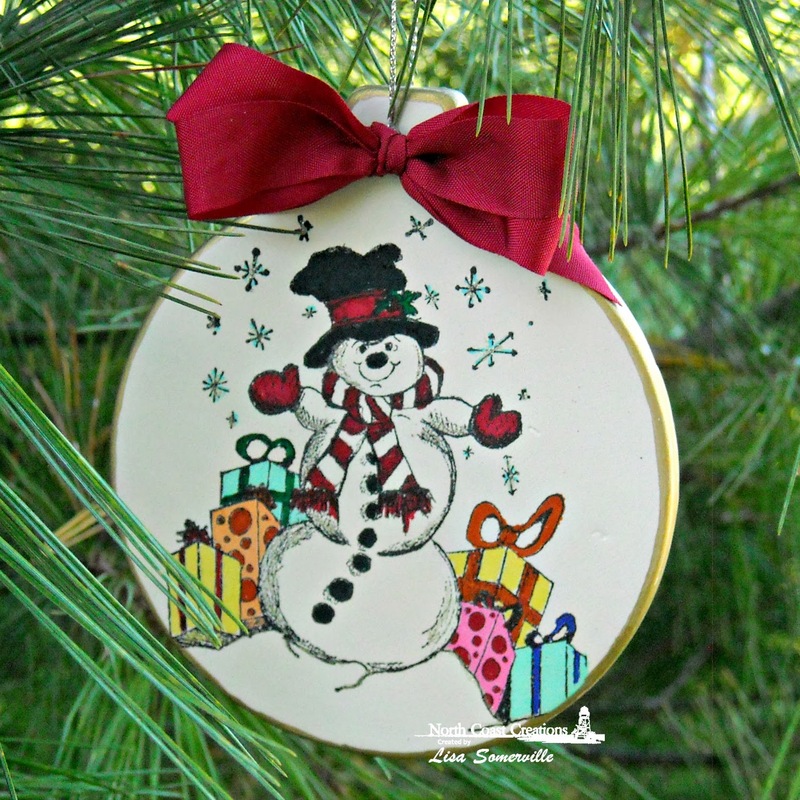 Once the ornament was cool to the touch, I colored the image with STAEDTLER Lumocolor Markers and added a bit of Spica Glitter Gel Pen to the snowman image. I edged the ornament with a Gold Leafing Pen and tied on Silver Cording and a Vintage Red Seam Binding Bow. what a cute idea for ornaments!!! tfs! Such a cute ornament and wonderful idea, Lisa! The gold edging is perfect. What an awesome idea! Such a cute ornament!! Lisa, this is such an adorable ornament! Love that snowman! Adorable ornament!!! Love the gold trim. The colors are so cheery! !